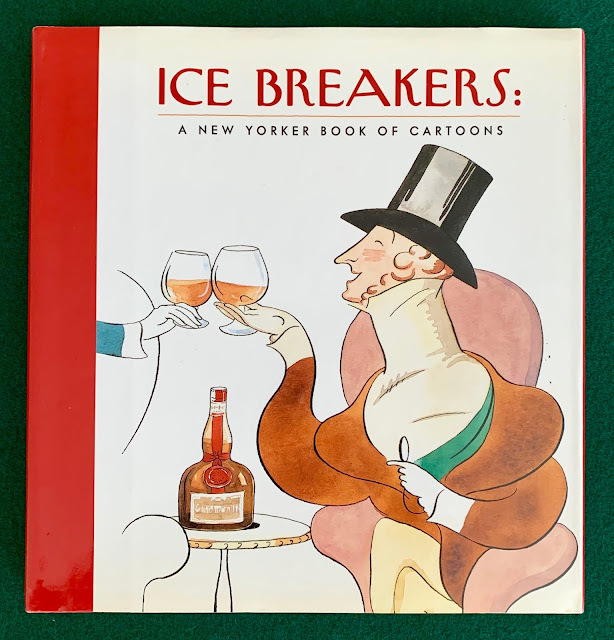 Ice Breakers: A New Yorker Book of Cartoons was published by the Cartoon Bank in 2005. It is a collection commissioned by Grand Marnier and the dust jacket flaps list drink recipes (the Ice Breaker, the Conversationalist, the Remarkarita, and the Sweet Talker) which have the distinctive liqueur as the first ingredient. 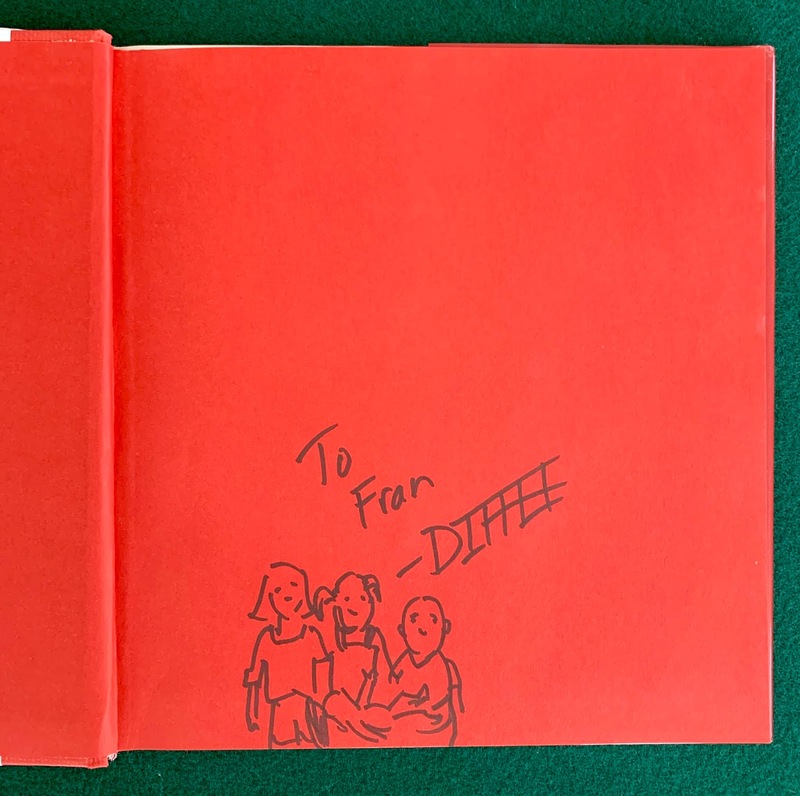 Unlike most of the corporate collections put out by the Cartoon Bank with a black-and-white cartoon on the cover, there is instead a specially-commissioned color cover illustration by Michael Witte, uncredited, but still no doubt. The press run must have been very limited making this quite a rare find. Scarcity does not necessarily indicate it's expensive. There are a great many privately-printed Cartoon Bank collections out there and they often sell for just a few bucks. This copy was priced at $10. 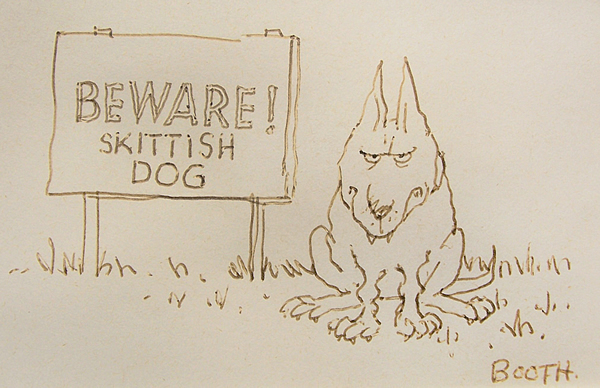 Best of all, it also has an original drawing by New Yorker cartoonist Matthew Diffee. Note: If there's one, there could well be many. Attempted Bloggery would like to post photos of your own New Yorker rarities.